Your guests will enjoy these decadent cake pops! Customize to your party theme! 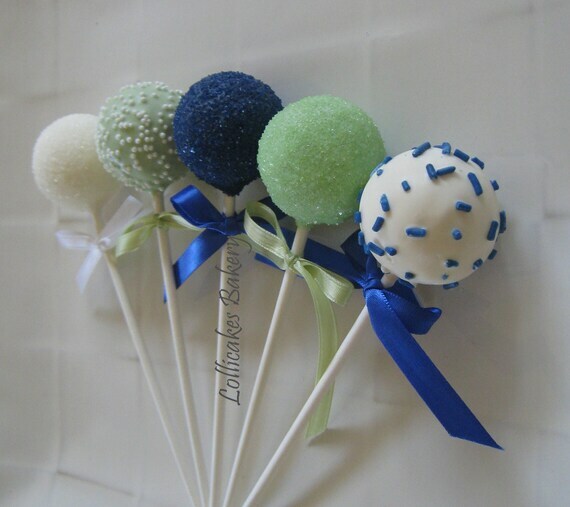 Cake pops are great as a gift, party favor, table setting, or at a dessert bar or candy buffet. Each Cake Pop comes individually wrapped, tied with a ribbon color of your choice, and a personalized favor tag. Made with high quality chocolate and ingredients. Made in an FDA certified bakery! Ships with ice packs and insulated packaging, via priority mail (2-3 days). Please let me know flavor and color selections in the notes when ordering. Have a question, custom order or qty, feel free to contact me.